The Persian carpet is the epitome of oriental carpet weaving. For centuries, this art cultivated in Persia and is the model for many weavers world wide. 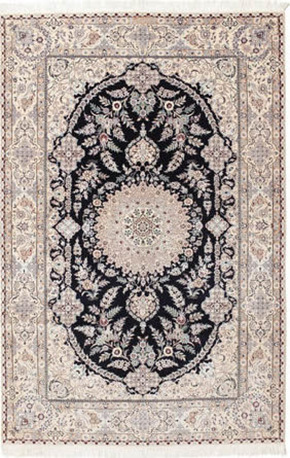 The Persian carpet connects you with elegance, tradition and quality. Here are a few fine specimens from various provinces to show how beautiful and elegant these works of art are. Naser al-Din Schah introduced the Persian carpet abroad. During his visit to England in 1876 he presented Queen Victoria fourteen Persian carpets. These rugs were made for the South Kensington Museum - now the Victoria and Albert Museum - and created an interest in other pieces (Ardabil carpet). 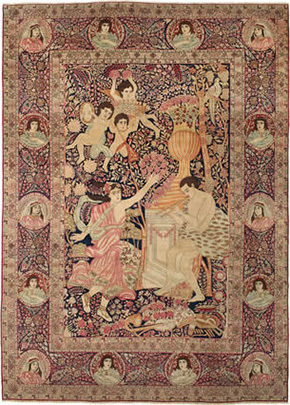 In 1891 the Shah sent carpets to the exhibition in Vienna, where they also received with great interest. 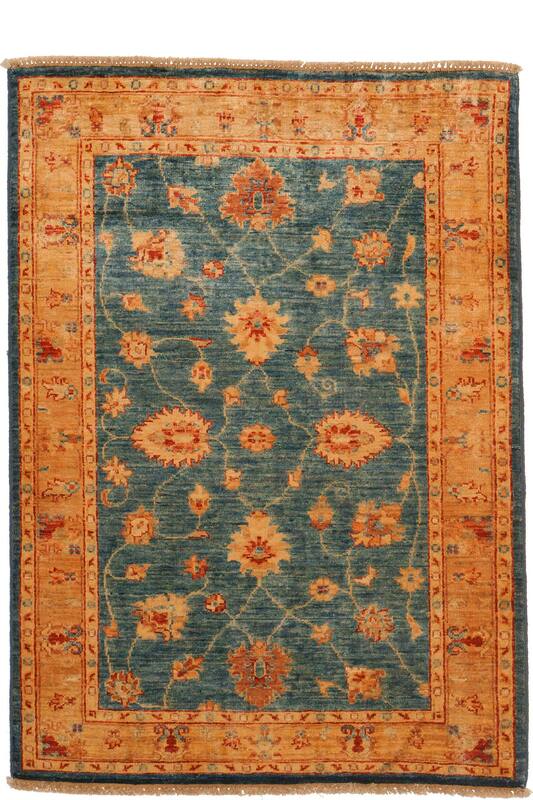 Hand-knotted carpets are one of the oldest forms of craftsmanship. The oldest examples, currently preserved in museums, came during the Safavids (1501-1736) in the 16th Century. However, paintings illustrating carpet weaving prove this existed before that time. The classic Persian carpets of the 16th and 17th Century are characterised by a wide variety. Popular designs depict branched vine, oriental ornamentation, Anthemione, cloud shapes or overlapping geometric patterns. Hunting scenes or social occasions are often depicted. A large part of these carpets are made from wool or silk. 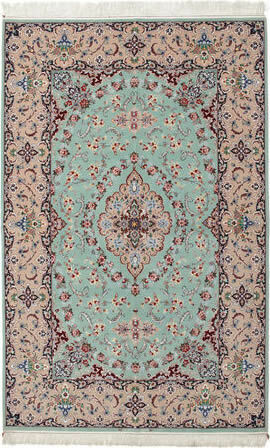 Kashan carpets are among the most famous in Persia and appreciated worldwide. The Kashan city can refer to an ancient textile tradition, and is mentioned in travel accounts of the 16th and 17th century. The craftsmen of this city on the western edge of the great salt desert, Dasht-e-Kavir, were once famous for their outstanding woven cotton and silk. In the 16th century the art-loving Safawiden King, Abbas I (1587-1529) and Abbas II (1642-1667) established at first silk weaving, soon after carpet weaving on an industrial scale. Shah Abbas I, the Great, - he is considered one of the most important patrons of Persian art, especially the art of carpet - was buried in a magnificent mausoleum in Kashan. These carpets are always popular with collectors. This artworks has been cultivated in this province for centuries. The Nain carpet is a world famous carpet from the same oasis city of Nain in the province of Isfahan in central Iran. 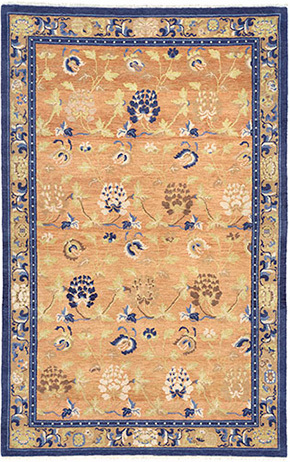 This rug is a particularly finely knotted type with predominantly bright overall impression (colour). The main colours contrast with ivory-/sand- cream coloured tones and light to dark blue shades. In very rare cases even light red is used. It is similar to the pattern in Isfahan (Shah Abbasi and Eslimi pattern) as well in the node density in the pile. A real Nain has a very high density of nodes. 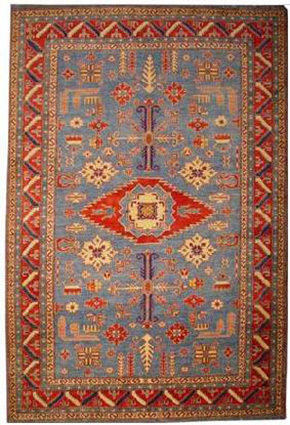 The average is 500,000 Persian knots per square meter. 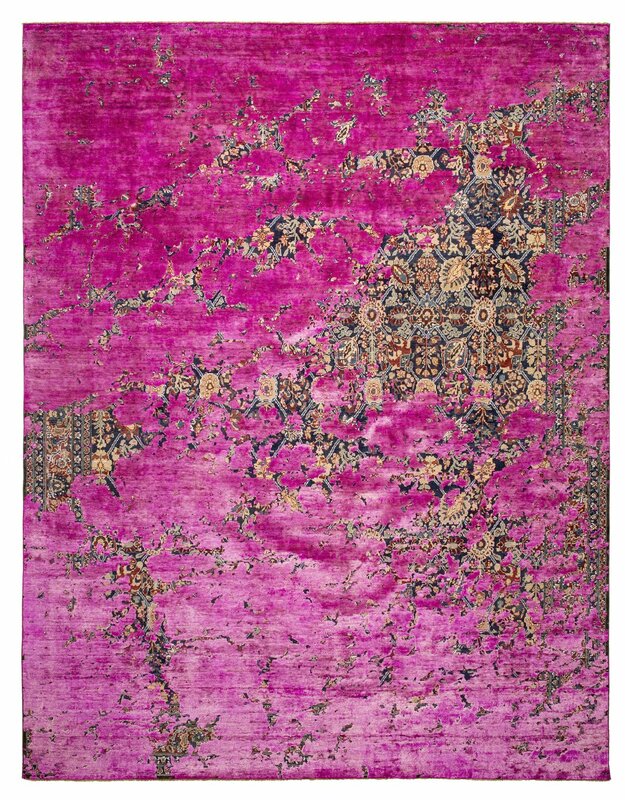 The highest quality rugs have more than one million knots per square meter, and are tied on silk or cotton string. This north Persian town is famous among collectors and connoisseurs. The classic Tabriz is stitched with the well-known Ghiodes knot. The city of Qom is famous for its high quality silk products. Today the "holy city" of Persia produces the finest silk carpets. Frequently with over 1 million knotes/m2 and therefore very artful and of very high quality. 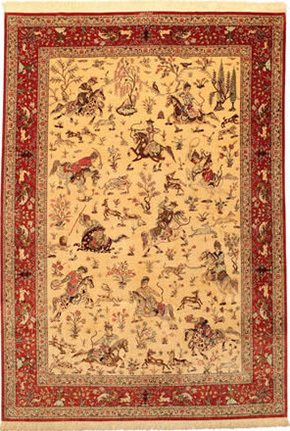 Well known to collectors and enthusiasts of quality carpets, they depict hunting scenes. 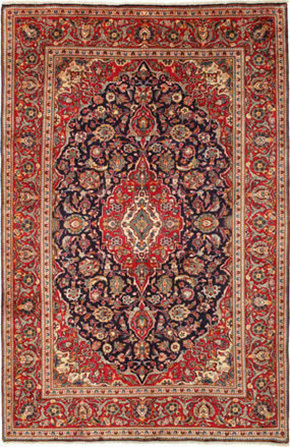 Since the 17th century carpets have been producted in Isfahan. 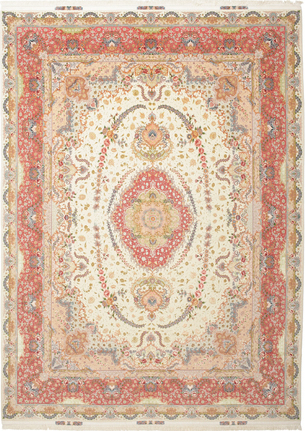 Finest wool and silk make these rugs extremely fine and exclusive. The high knot density achieves a very vivid and detailed design. Isfahan was the capital of Persia during the Safawide dynasty (1502-1736). During the reign of Shah Abbas (1587-1629) architecture, arts and crafts was promoted. Under his rule the Emamplatz was created which took the shape of a huge caravanserai. By using the finest wool and extremely dense knotes the rugs feel very solid and closed. This is only possible if weavers have a lot of experienced. Isfahan rugs are among the absolute top and Persians are estimated collectibles. Whoever owns one of these colourful pieces of art can count themselves lucky. Not just because of the beauty they represent but also because of their high value material and almost priceless ideal. These works of art have been linked to the border area between Turkey and Azerbaijan. Made from pure wool and therefore also called "wool-on-wool" knotting. The designs are very clear and geometric and often show a stylized landscape. Nomad carpets are characterised by their individuality. They are still not made in a standard way and and vary greatly in design, manufacturing and wool. Strong colours and patterns are ideal for any modern residence. 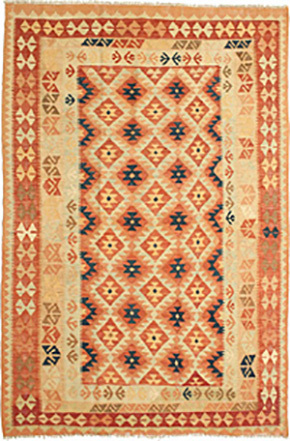 The rugs are created ​​by nomads and their geometric patterns often look very naive. These artworks are still woven in an old tradition way using a flat-lying loom. The wool is dyed by hand using natural pigments. These individual pieces are truly works of art of the highest degree. There are records of the art of carpet weaving since the early days of the Nepali history. The carpet weaving is almost as old as civilization. 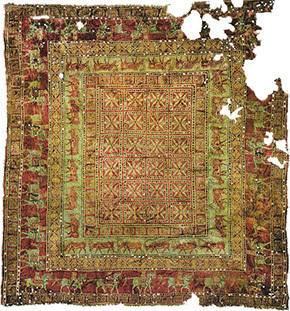 The Nepalese carpet by comparisson has a rather small number of nodes and were originally a decorative display, prayer-rug or seat. Made ​​from the best wool they have delicate pastel tone colours. The quiet back in the middle part of the carpet is a typical design feature. The carpet art in China is derived from a highly developed ancient culture and the development of a talented, skilled workforce. The Chinese artists and craftsmen have not only created great pieces of art in their own country, but have also contributed to the arts in the Middle East, where royalty were called by royalty, in many areas of art and decorative arts Great. Their influence is seen in many places, as well in carpets. The weaving is one of the younger forms of arts and crafts in China. During the reign of the Emperor K'ang-hi and Kang-Hsi (1662-1722) and his grandson Ch'ien-lung (1736-1796) this art form was further promoted according to reports. Weaving was most likely developed within the country itself, without external influences. The earliest colours are yellow, the famous royal yellow, blue and green, russet gold and silver base. In the 18th Century Turkmen, Tatar and Persian influence is visible. Often dragon representations are found in different variations: sky dragons, earth dragons, ghost dragons, dragon treasure guardians. We always have many thousands of rare carpets from all over the world in stock.